In the later part of the 18th century Ohio Valley Indians were in frequent conflict with American Expansionism – personified by settlers regularly making the dangerous journey down the Ohio River in flat boats to claim the ancestral lands of Native Americans as their own. George Rogers Clark and other military leaders raided and destroyed Indian towns, crops and stores of food. In retaliation, Native Americans made frequent raids on the flat boats – confiscating food and supplies and often killing or capturing the occupants. 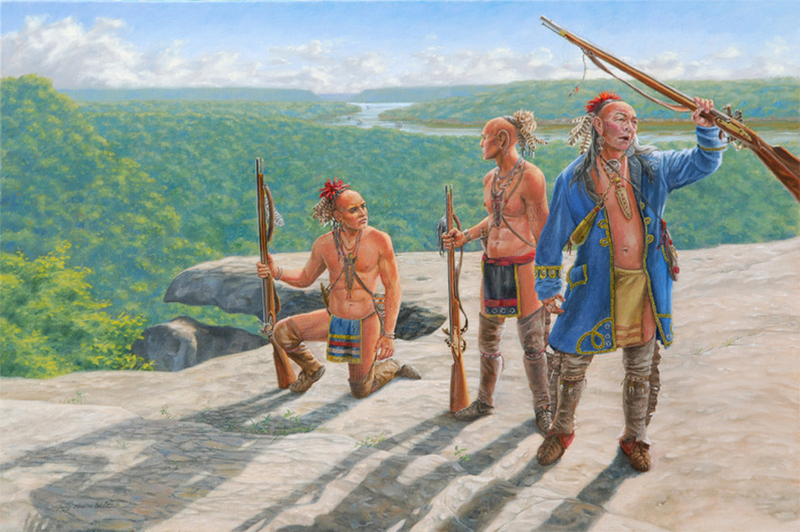 It is believed that from the lofty vantage point of Hanging Rock, upstream from Portsmouth, Ohio, Shawnee warriors waited until flat boats appeared at the bend of the Ohio River to carry out the attack.